Hot Springs, Arkansas is America’s First Resort and became a tourist destination because of the natural hot springs. But there is so much more than bathhouse row to explore in this adorable town. Of course when visiting, you need to make sure you have the perfect place to stay and relax. 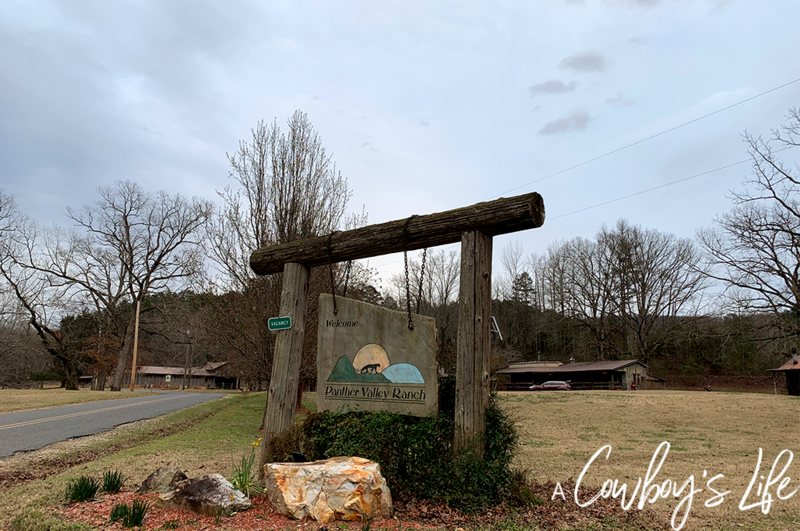 Panther Valley Ranch, located about 5 miles from Hot Springs National Park, is the perfect lodging choice in Hot Springs. 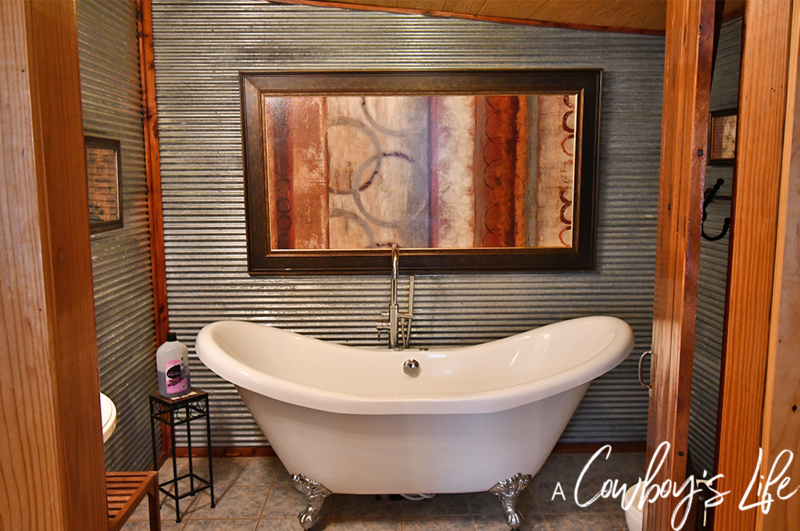 Panther Valley Ranch is a country getaway, nestled in the Ouachita Mountains with modern amenities. The ranch features 11 unique suites that have a king bed, whirlpool tub, fireplace and full kitchen. 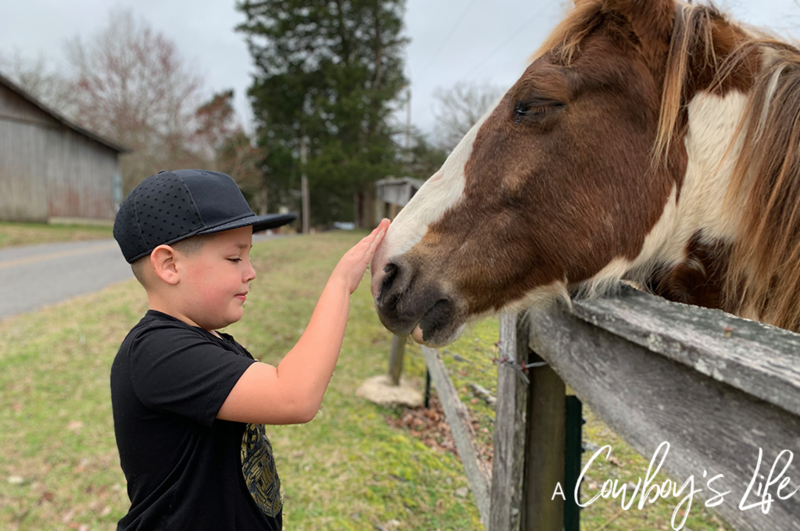 The property also has a stocked private lake, friendly horses that will instantly be your best friend with a simple bribe of apples & carrots and outdoor fire pit. It’s certainly a rustic and elegant resort that’s perfect for families or couples. Upon arrival the 1st night we unpacked, grabbed our fishing poles and headed straight to the pond. 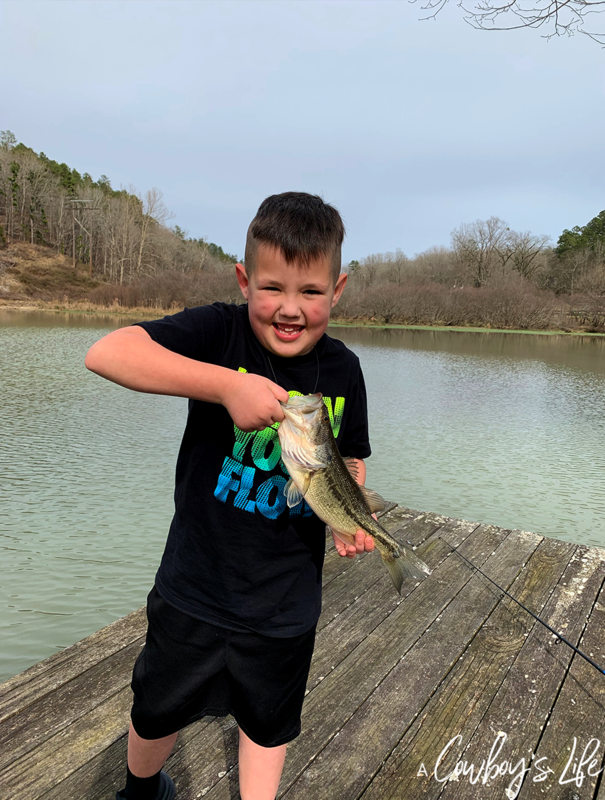 Within 5 minutes Carson caught himself a bass! We stayed 3 nights in the Victory Suite which is a 700 sq. foot cabin located in the barn. 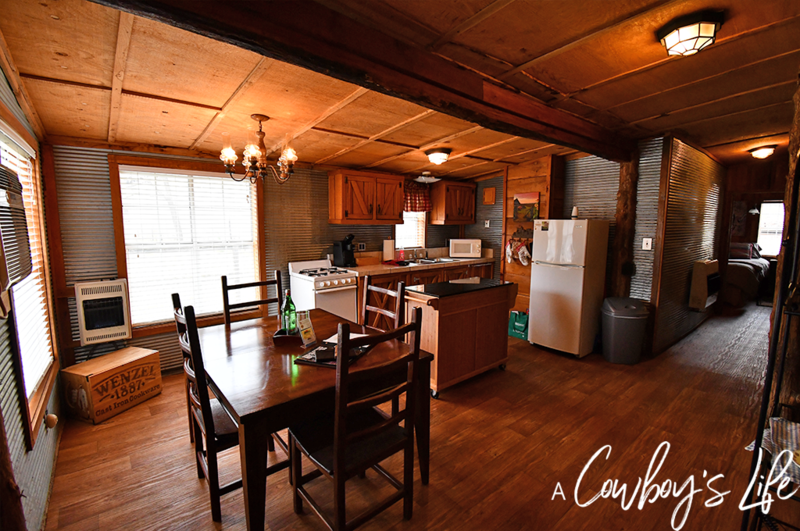 The living room has a wood burning fireplace and stone walls that give the cabin charm and character. I started each morning with a cup of coffee on the back porch which overlooks the pasture. My son preferred to sit in the rocking chairs out front and watch the squirrels run by. The ranch is a peaceful and quiet country getaway. With of course cable and wifi for those that still want to connect to the world. 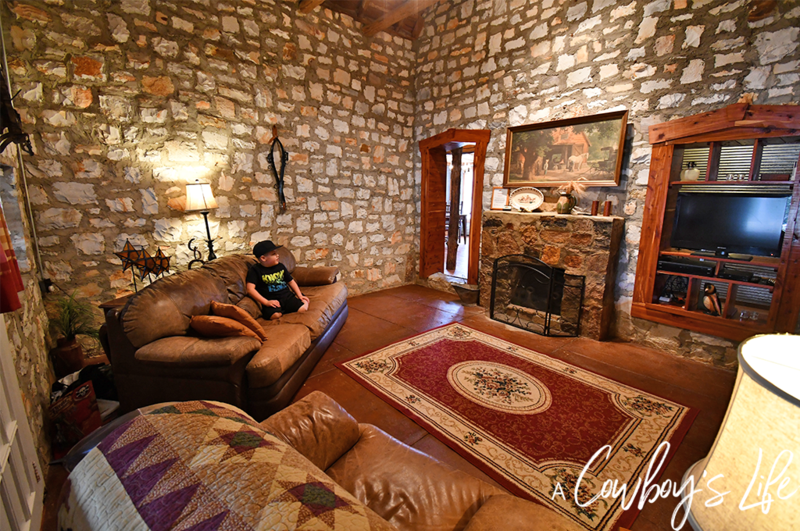 Panther Valley Ranch is truly a one of a kind lodging experience. 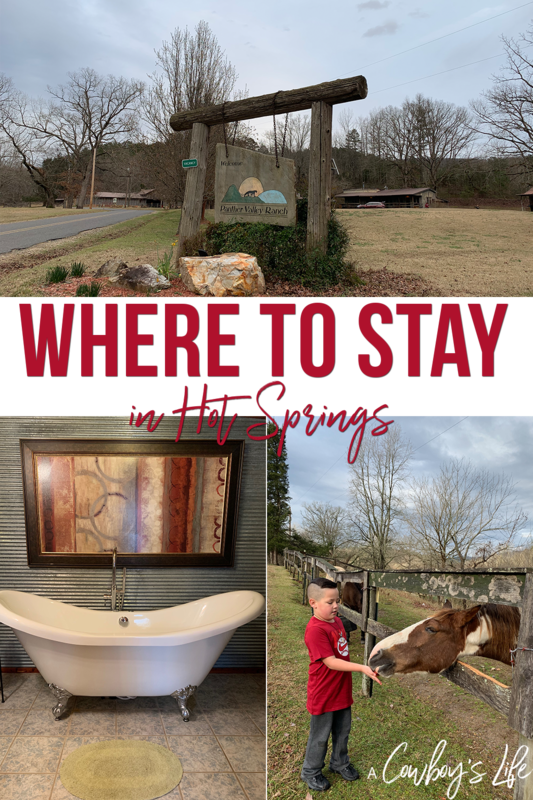 This picturesque ranch is a must stay for those looking for a night away or longer stay to unwind and enjoy the beauty of Hot Springs, Arkansas.